50ml breach load tool for dispensing 1:1 and 2:1 ratio 50ml syringes. Metal and molded plastic construction. Newly designed, powerful and economical hand held tool for dispensing 1:1 and 2:1 ratio 50ml syringes. Ergonomic design increases leverage and reduces hand fatigue. Innovative swivel carriage makes syringe replacement fast and easy. 12:1 thrust ratio and smooth rod drive produces increased power and control. Features a rust proof and chemically resistant finish so it is more durable and easier to clean. Our Premium grade model. 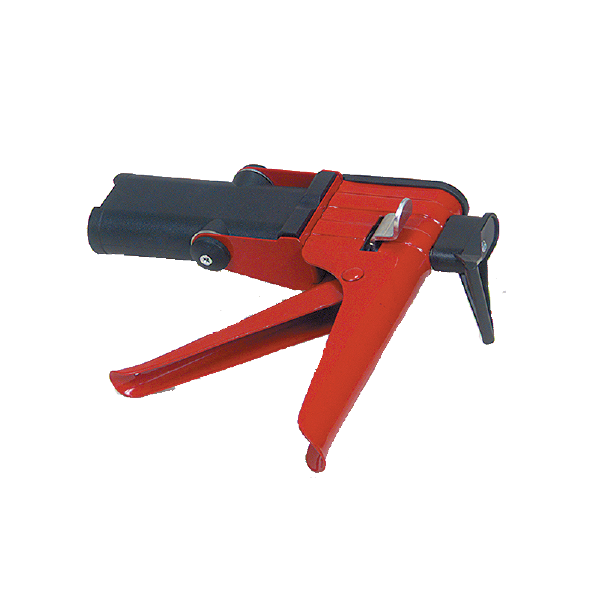 1/10th Gallon Smooth Rod Cartridge Gun with high-thrust 26:1 ratio drive. 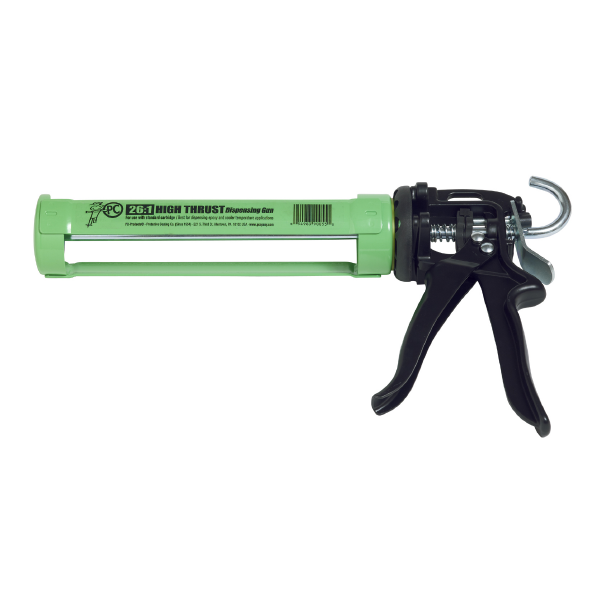 Especially designed for comfortable, efficient dispensing of thicker materials, cold weather caulking and 2-part epoxies packaged in Universal style cartridges with static mixer. Multi-Component Dispensing Gun with smooth & powerful High Thrust 26:1 Ratio Drive. Use for dispensing 1:1 mix ratio 300ml (150 X 150ml) cartridges. Common products dispensed are epoxies & adhesives. 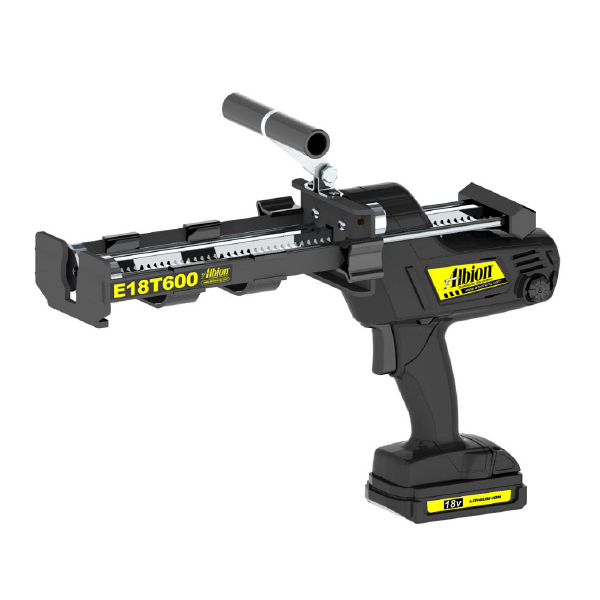 Multi-Component Dispensing Gun with smooth & powerful High Thrust 26:1 Ratio Drive. Use for dispensing 1:1 mix ratio 600ml (300 X 300ml) cartridges and can be converted to dispense 2:1 mix ratio (450ml) 300 x 150ml cartridges. Common products dispensed are epoxies & adhesives for construction joints, concrete crack and spall repair, adhesive installation and bolt setting (chemical anchoring). 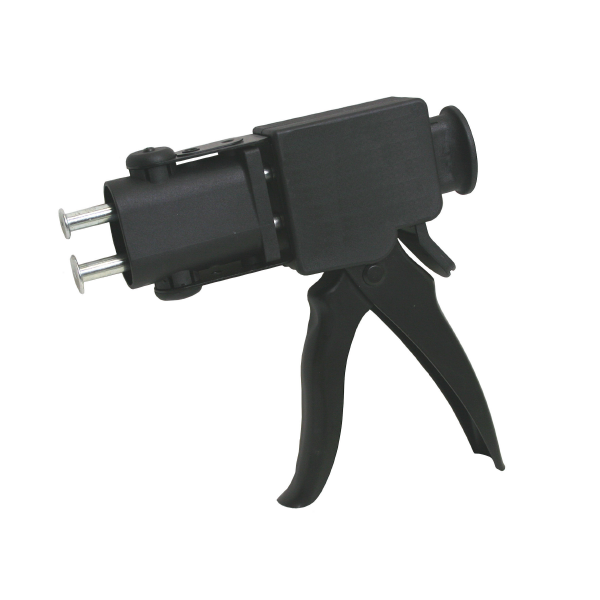 Cordless tool for dispensing 1/10 gallon size cartridges. Features a rust proof and chemically resistant finish so it is more durable and easier to clean. Swivel feature makes for ease of application and smooth transitions. 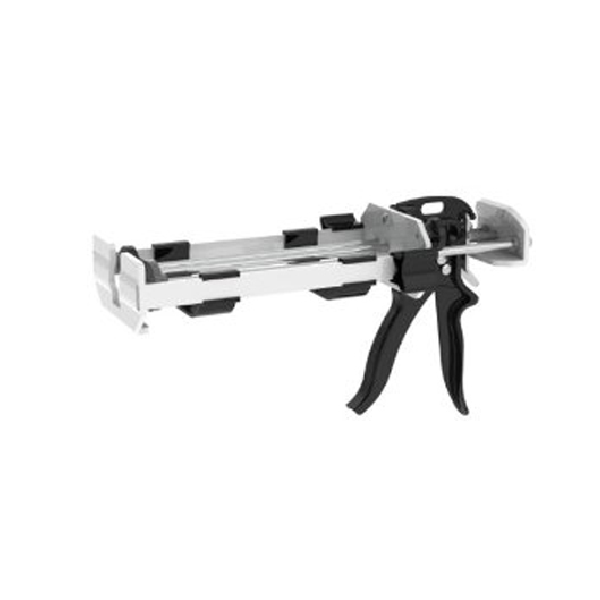 The slotted front cap allows for easier loading & unloading. The full carriage support & improved design holds cartridge in place. Includes battery and charger. 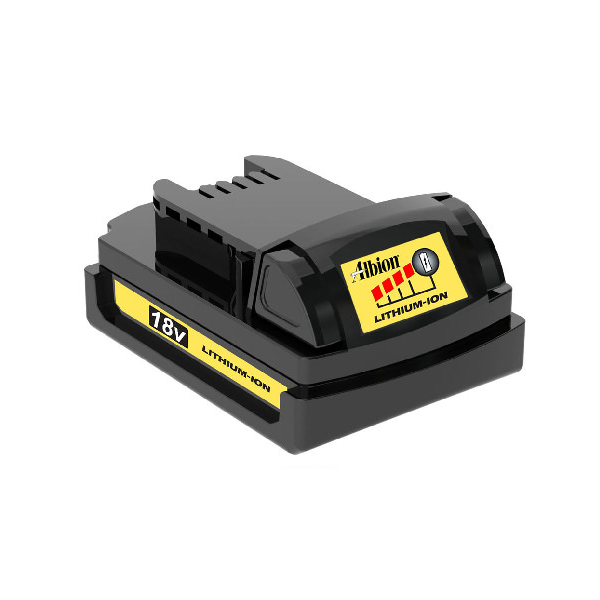 Powerful 18V cordless tool for dispensing 1:1 ratio 300 x 300ml twin cartridges. Powerful drive coupled with a sturdy carriage provides increased durability and control. Includes battery and charger. 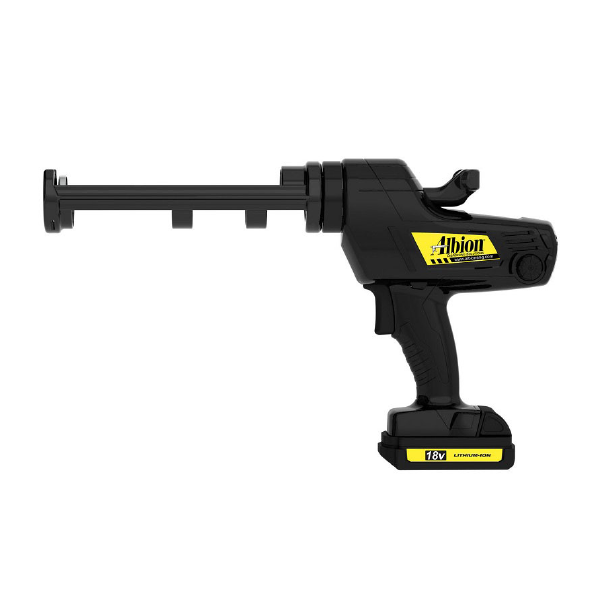 The latest in portable battery technology combined with the new heavy duty drive gives the user optimum control and performance from a cordless dispensing tool. 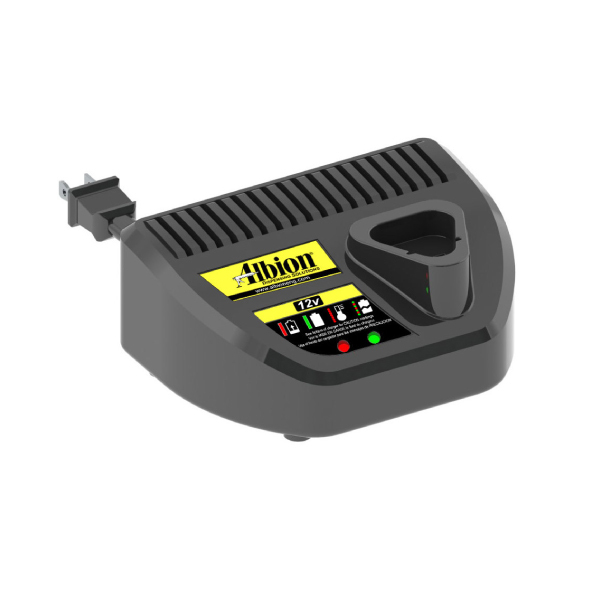 Newly designed 18 Volt Li-Ion Battery Charger. Recharges a compact battery in only 30 minutes. Powdered pigments for use with PC-Woody® Paste Epoxy. Match wood colors and surrounding stains without affecting the chemical integrity of PC-Woody®. 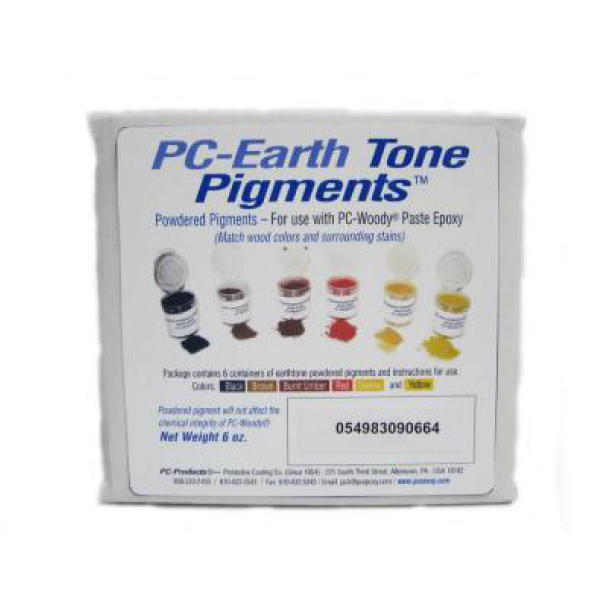 The pigments can also be used with PC-11®, PC-SuperEpoxy®, PC-Fast-n EZ™ and PC-Clear™.